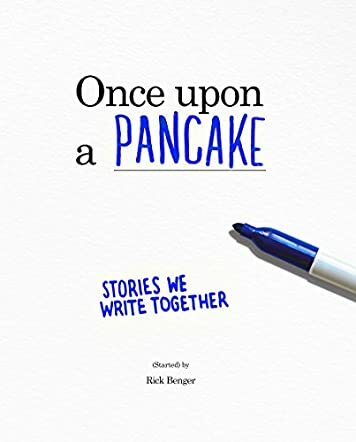 If you’re a writer needing stimulation, pick up a copy of Once Upon a Pancake: Stories We Write Together by Rick Benger and feel those creative juices starting to flow. Oh wait! That subtitle says “Stories We Write Together.” Well, if you teach creative writing classes, from elementary school to high school, or if you run creative writing workshops, you’re going to absolutely love Once Upon a Pancake. 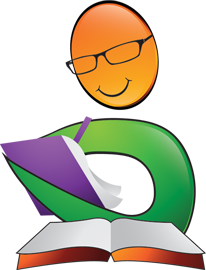 This innovative and exciting approach to writing for individuals or groups was a kick-starter project. The desired goal was less than 5,000 but to date, the amount raised is double that; proof that contributors see Once Upon a Pancake as relevant and useful to their own needs. 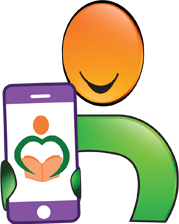 Not only does Once Upon a Pancake offer individuals or groups a chance to explore just how creative they can be, but they will have fun along the way. What a winning combination. 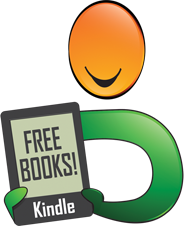 This clever book, complete with colorful illustrations and/or photos, provides prompts, offering chances to take off in any direction…humor, sci-fi, horror, romance…you name it. 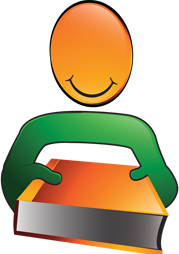 For instance, how about this opening for a short story or novel: “He was a caramel Adonis. Arms and shoulders so meaty they’d bring your grandma’s ovaries out of retirement.” What a visual! And what an intro to a humorous piece. I can’t wait to try that one out. One can explore that opening alone, but just imagine this prompt being passed from person to person in a 10-person workshop where each person adds the next sentence. How will that story end up?